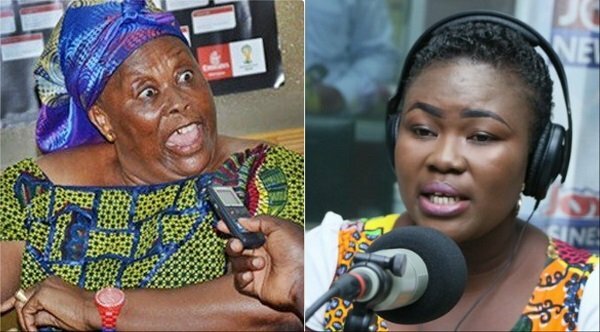 Hajia Fati assaulted Adom FM’s newscaster Ohemaa Sakyiwaa Ahwenepa. Furthermore, Haija is known for being a staunch NPP supporter. She did this at the NPP headquarters in Accra. Moreover, she defended her actions. She blamed her behaviour on Ohemaa’s “unprofessionalism”. Also, she claimed she didn’t carry herself like a journalist should. Therefore, she assumed she was a mere onion seller. Meanwhile the New Patriotic Party issued a statement distancing itself from Hajia and her uncalled for behaviour. “The NPP has noted with concern an alleged attack on a journalist by one of its supporters, Hajia Fati.